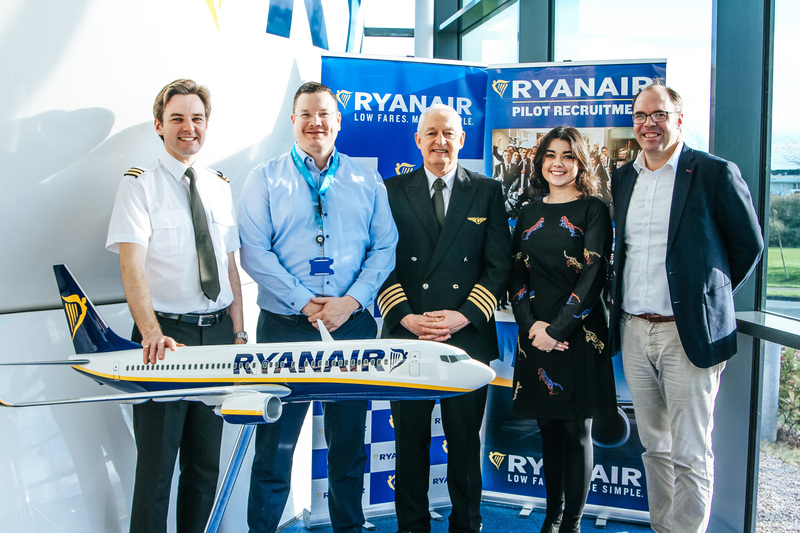 RYANAIR LAUNCHES NEW PILOT TRAINING PROGRAMME WITH SKY4U ATO ! 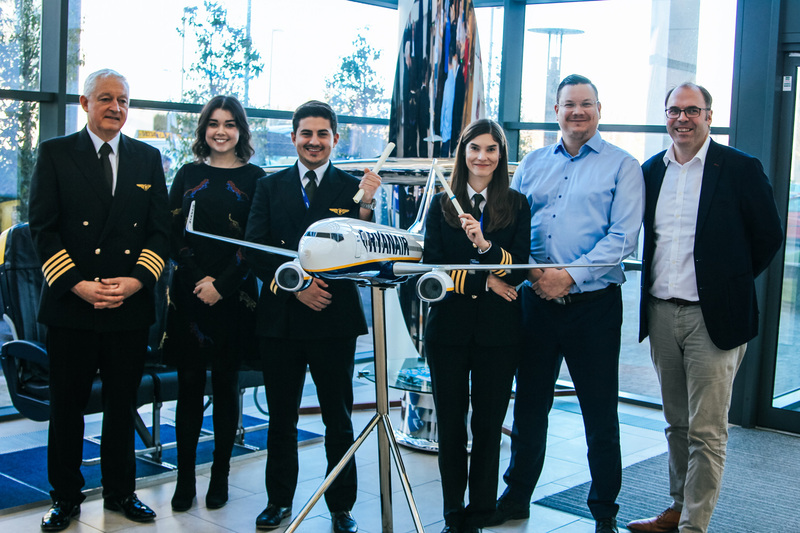 Ryanair, Europe’s No.1 airline, today (14 Nov) announced a major new training partnership with ATO SKY4u to deliver a Ryanair Airline Pilot Standard (APS MCC) programme in Berlin and Vienna.The partnership will ensure Ryanair continues to attract highly trained professional pilots to support its continued growth across Europe. This new EASA approved enhanced MCC programme gives trainee pilots a structured path to achieve an exceptional training course and reach a standard where they are ready to join the Ryanair Boeing 737 Type Rating programme. Ryanair is Europe’s favourite airline, carrying 141m guests p.a. on more than 2,400 daily flights from 92 bases, connecting over 200 destinations in 37 states on a fleet of over 450 B737 aircraft, with a further 210 Boeing 737’s on order, which will enable Ryanair to lower fares and grow traffic to 200m p.a. by FY24. Ryanair has a team of more than 14,000 highly skilled aviation professionals delivering Europe’s No.1 on-time performance, and extending an industry leading 33-year safety record. 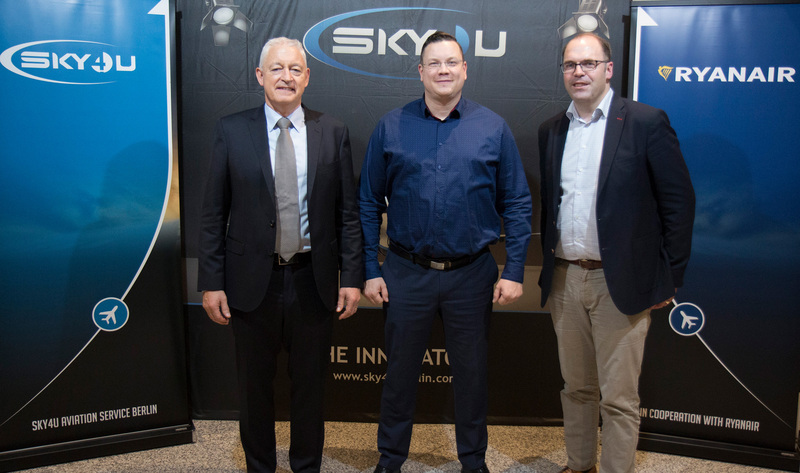 Founded in 2013 and based in Berlin-Schönefeld Germany, SKY4u is an ATO that is focused on innovative and high quality training for pilots. SKY4u has been training international pilots, bridging the gap between flight schools and airlines through enhanced MCC courses and specialized training. In cooperation with SIM4u, SKY4u have been able to consistently deliver quality simulator training to new students on the Boeing 737-800 FNPT II FBS. SKY4u has a strong base of experience and expertise from a vast foundation in the airline industry.